The reluctance to respect grug takes is basically a pure GenX thing, I would know, I’m one week older than Svenpai, we simply cannot accept good vs evil, sane vs crazy as -real- we can feel it’s real, but it’s a very negative social marker for Xers to not be cynical and aloof. “Big Pharma companies often say that drugs “need” to be expensive to fund research. I absolutely love the crazy things AOC says, and I love the sane things also. Guys, that man is completely right. You need to rephrase this entire battle as good vs evil and you can most definitely succeed in convincing the masses that Jews are evil. I’ve been trying to tell you guys this for years. You need to call them out as evil and then you have a total hierarchy of evidence from anecdotal, to historical, to evolutionary, etc. to back up your true claim. Don’t let the mistakes and shortcomings of Christcucks deter you from presenting a hard-edged moral argument. It will work extremely well and will inspire more than you can imagine. In fact, a sound moral argument against degeneracy and Jews, excluding a Christian narrative, will be very powerful against the left and cucked right. Because it becomes about absolute truth regardless of stories or stupid people’s feelings. On the surface, it will be fought fervently, but underneath the facade, it will be destroying these people from within until they lash out in desperation or submit entirely. The part on goy inventions is so true. Our progress as a country has ironically been completely stifled by the “progressive” Jewish movement. of the least intelligent of those whom it seeks to reach. You guys consistently depict the Jews as grand opera villains. No actual group of people could possibly be as evil as you depict the Jews. Besides terrible optics, it’s demoralizing to Jews who might want to sympathize with you or oppose ethnic cleansing of anybody. Over time, I notice you are becoming more bitter and less funny. A shekel for the good goy. One of the core tenets of the talking points that TDS espouses is that there is no cabal of jews in a room somewhere, smoking cigars, plotting to take over. Do you understand *why* this cartoon villain situation does not need to occur? Because that is a very important part of the JQ. Binity- Say hey to Mark Potok for us. Binity- Do you typically sign up for paywall content before you know what it’s about? Or should I say hi to a journalist that just found itself a lot of free time. $50 a month is nothing to a Jew whore. That $30 spent for TDS is one less snort of cocaine up her 6 inch long nose. No way she needed that $10. Youll be hearing from her lawyer about that $60 TDS owes her. The price is right, and some of their content is worthwhile. “Hate if you wannna hate, if it makes you straight, if it makes you brave.” I’ll bet you have ironclad evidence for the claim in the first paragraph. You guys gotta remember too, never know when it’s someone’s first show. It’s been a while since you talked about topographical evidence of maps, black inventions. I was actually surprised when Black Israelites came up with the Covington thing, and no “Isaiah.wav” drops. The screenshots on twitter (taken from Netflix doc) showing Mark Potok’s genocidal post it notes should be addressed. This seriously rustles my jimmies. Honestly this is perfect and beautiful evidenc for the cause. As angering as it is, there is no way Jew Potok can reasonably dismiss this. Of course he will try or not even address it at all but add another notch to the side of truth for us. In a sane country, this would lead to the shutdown of the SPLC. Those are some Vegas Guinea glasses Mike has on. 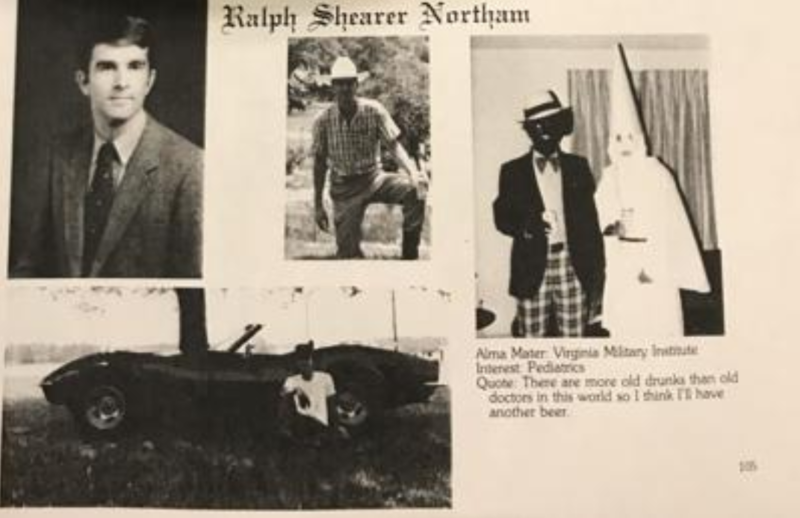 Looks like McNabb and Ralph Northam had a blast in medical school. Twitter is blowing up on this. Who could have guessed Gov post-natal abortion was /our guy/ ? It’s always the Democrats who push the overton window in both sides. Have you zeen ze new Pu-blic Spess? Zis new veedyo, Jo-den Petersen: Held Down And Buttfucked…? Sketch idea…..Mike teaching fired J left journalists how to code. Sent u goys a email with some content I found intrething. We were about to start calling local hospitals! Oh boy, oh boy, oh boy….blag fake history month. It’s like shark week for fascists, all month long. Crack open that gallon of whole white homogenized and have a seat in your kampfy chair. It doesn’t get more tedious than this. I celebrate by rereading the “Slavery Reconsidered” article at Radish Mag.